A destination that will definitely make you fall in love, Nashik is the perfect weekend getaway destination away from the weekday blues! Famous for its numerous temples, the city is also much famous for its numerous vineyards and wine tasting tours. 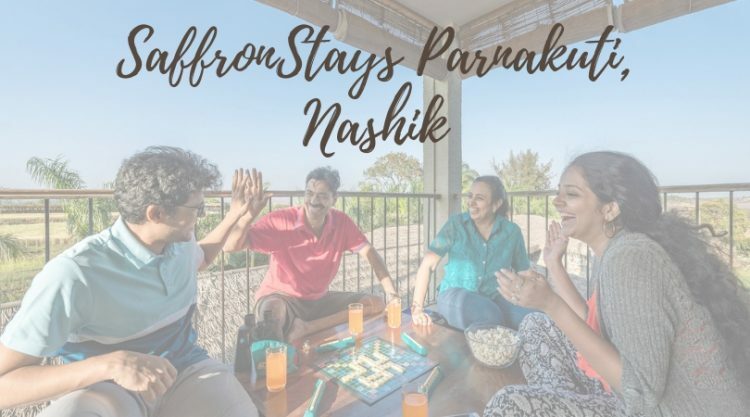 So why not make it your weekend getaway with your friends and family and plan a stay at SaffronStays Parnakuti? Are you planning a relaxed stay-cay and not sure where to go? 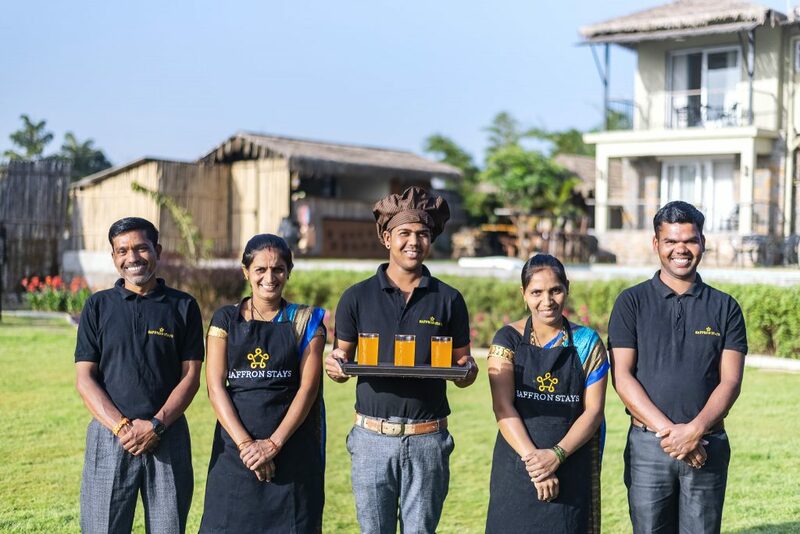 Located amidst bountiful nature, SaffronStays Parnakuti is an ideal weekend getaway destination for all those seeking a break from the frenzied city life. 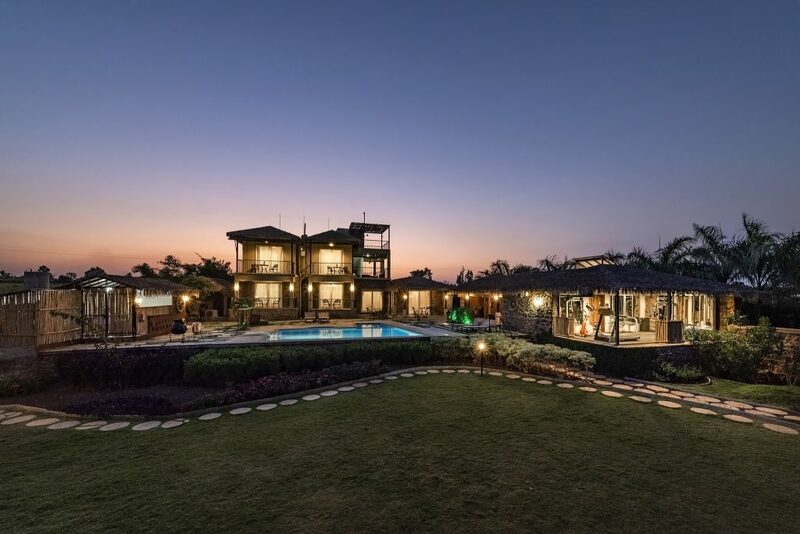 Overlooking the Gautami Dam Reservoir, this home offers stunning views of the vineyards and valleys! 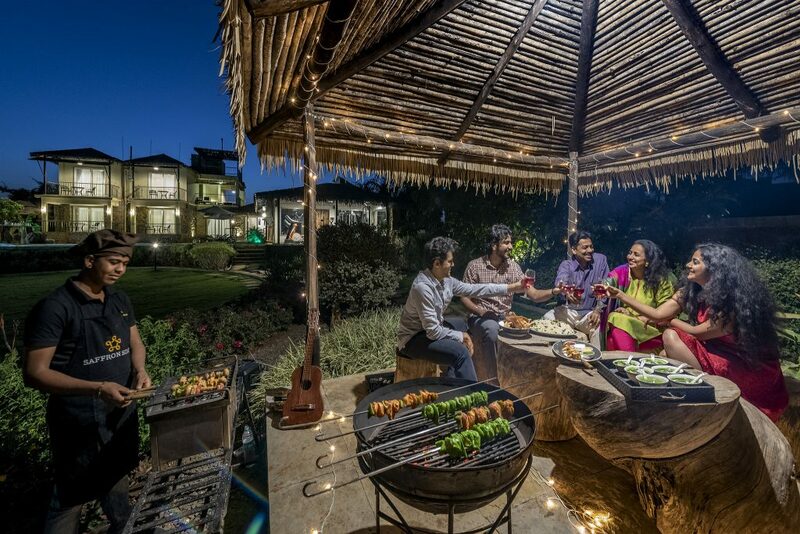 An amalgamation of rustic aesthetics with modern amenities, this home is quite the perfect for a laidback holiday with your near and dear ones. And guess what? 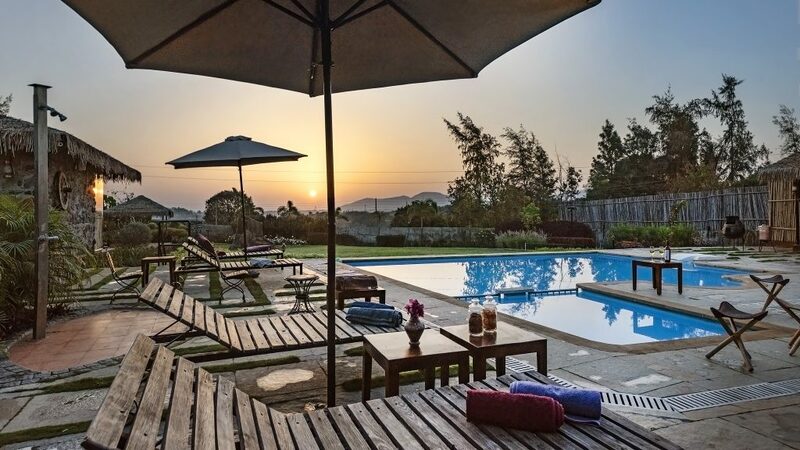 This weekend getaway boasts of a swimming pool, a gazebo in the lawns, a play area for children, a gym area for the gym freaks and a home theatre for the movies buffs! A treat for all gym enthusiasts; don’t miss out on your fitness routine! 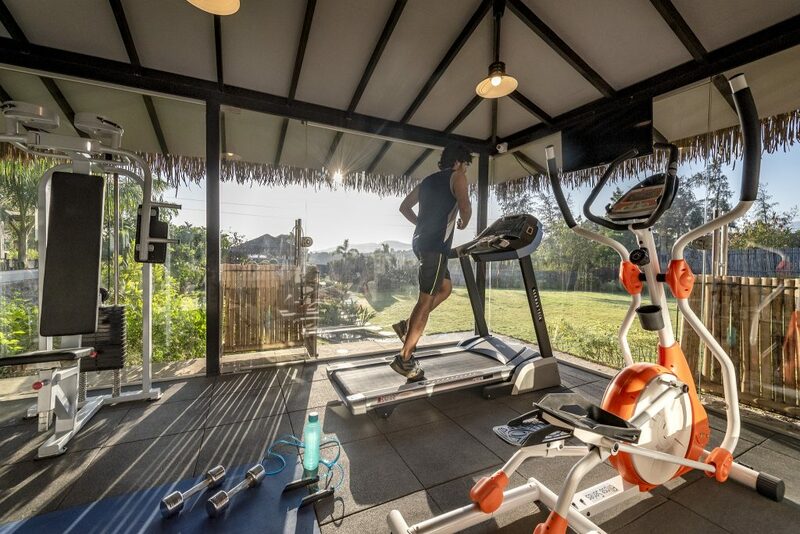 You can now maintain your fitness even while on a staycay at this villa. Surrounded by well manicured lawns, take a stroll and enjoy the serene settings around you. 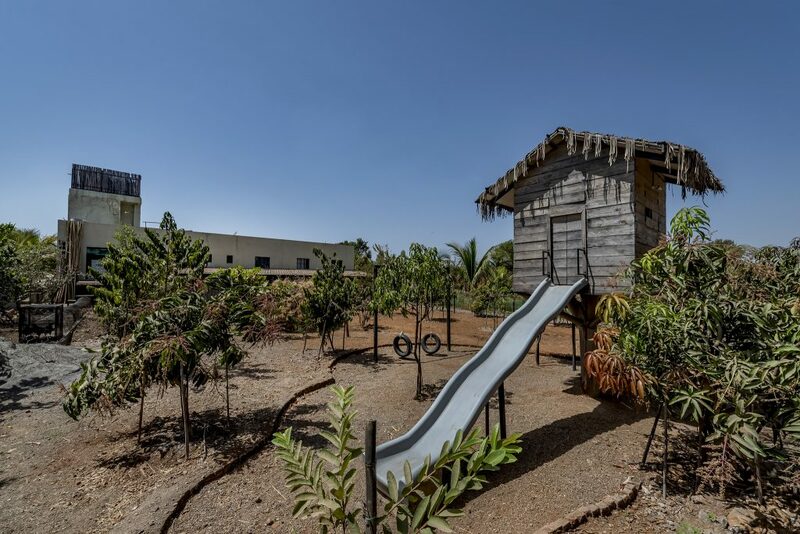 Your teensie – weensie kids can have the time of their lives in the special play area just for them. 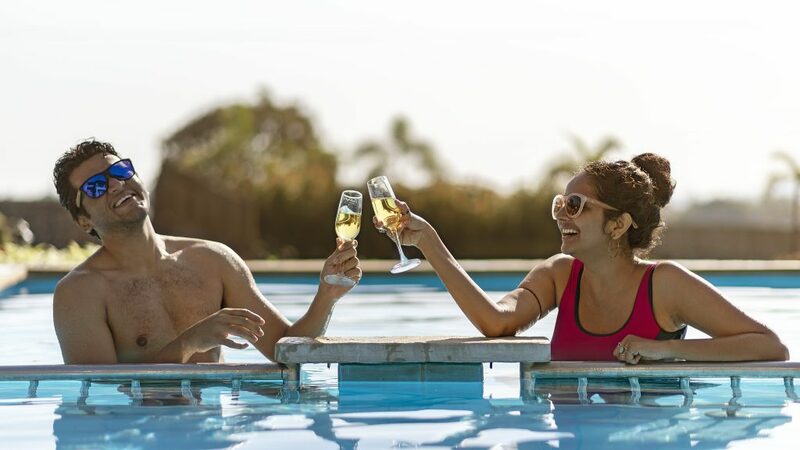 Have a relaxing and rejuvenating weekend getaway while you lounge away in the jacuzzi sipping your favorite wine. #WinterIsComing. Wouldn’t you want to catch an exclusive screening of your favorite TV Series or Movies? Worry not! 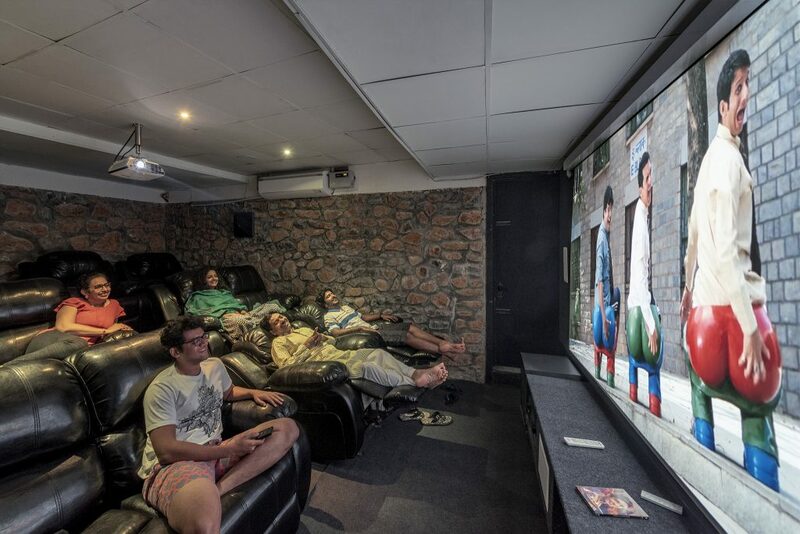 A special home theatre room is here for the rescue. Tired much? How about a refreshing steam and sauna bath? Yes, this villa has it all. 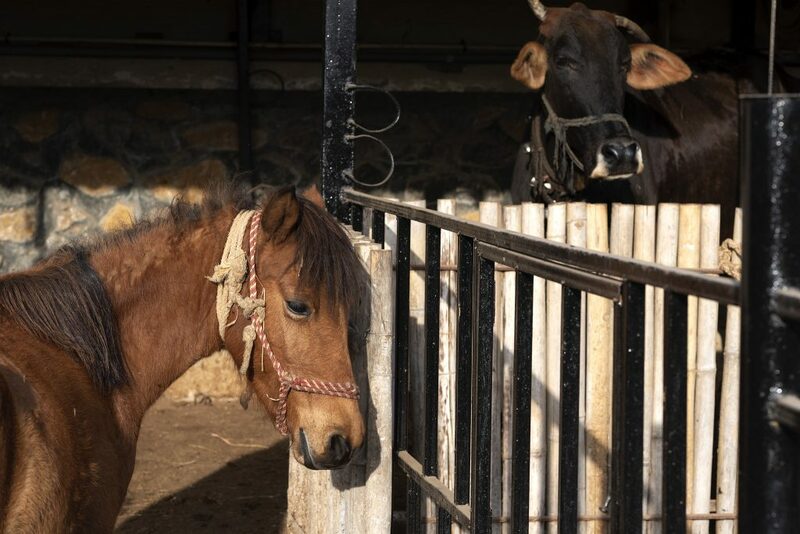 All animal lovers can now enjoy the company of your these amazing pets in this villa! 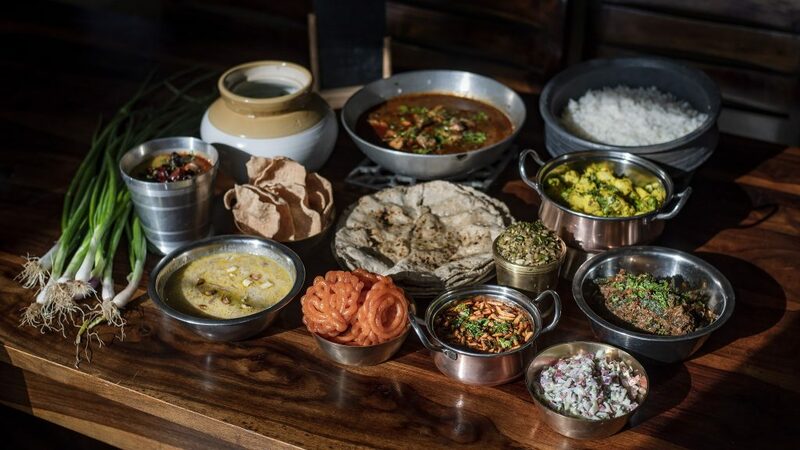 This complete bumper package will surely make you pack your bags and head here this weekend. And that’s not it. If you’re an explorer awaiting an adventure, you can always visit the tourist spots quite close to this home. With so much at hand, you will surely be tempted to extend your weekend getaway.